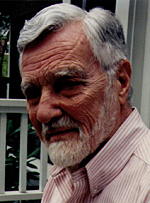 4:10 p.m., Aug. 28, 2009----Charles Leslie, professor emeritus who formerly headed the University of Delaware's Center for Science and Culture, died Aug. 15. He was 85. A medical anthropologist whose influential career and work shaped the concepts and theory of his field, Dr. Leslie was known for his intellect, dedication to his profession and colleagues, devotion to social justice and pacifism, compassion and generosity. In the summer of 1964, he worked in the civil rights movement in Mississippi. Born in Arkansas, he served as a pilot in the Army Air Corps during World War II. He earned his Ph.D. in anthropology from the University of Chicago. During his career, he taught at Pomona College in California from 1956-66, Case Western Reserve from 1966-67, New York University from 1967-76 and the University of Delaware from 1976 until his retirement in 1991. He was awarded several fellowships, completed postdoctoral studies at the University of London School of Oriental and Asian Studies and was a visiting professor at the University of Washington, Harvard University, the University of California at Berkeley and McGill University. His major work and publications include studies describing the world view of the Zapotec villagers in Oaxaca, modern institutions that cultivate ancient medical traditions in India and comparative Asian medical systems. Throughout his career, he served as an editor for several professional anthropological journals, a book series and for works by colleagues. He served on the World Health Organization's Expert Panel on mental health and as a WHO consultant on traditional medicine in Jakarta. President of several anthropological associations, he received the Distinguished Service Award from the American Anthropological Association in 1992. He was a founder of the International Association for the Study of Traditional Asian Medicine, where an annual award in his name has been established. In 2002, his colleagues published a book of essays (festschrift) in his honor. In November 2009, the Society for Medical Anthropology will award him its Career Achievement Award. Dr. Leslie, and his wife, Zelda, retired in Bloomington, Ind., in 1999, where he joined the Friends Meeting, wrote a book about his friendship and correspondence with Donald Wallace, an inmate on Indiana's death row and served as adjunct professor at Indiana University. He is survived by his wife of 63 years, sons Mario and Sam, daughter Mira, and four grandchildren. Donations may be made to CASA, Friends Meeting and the IU Jacobs School of Music. Condolences may be sent online.